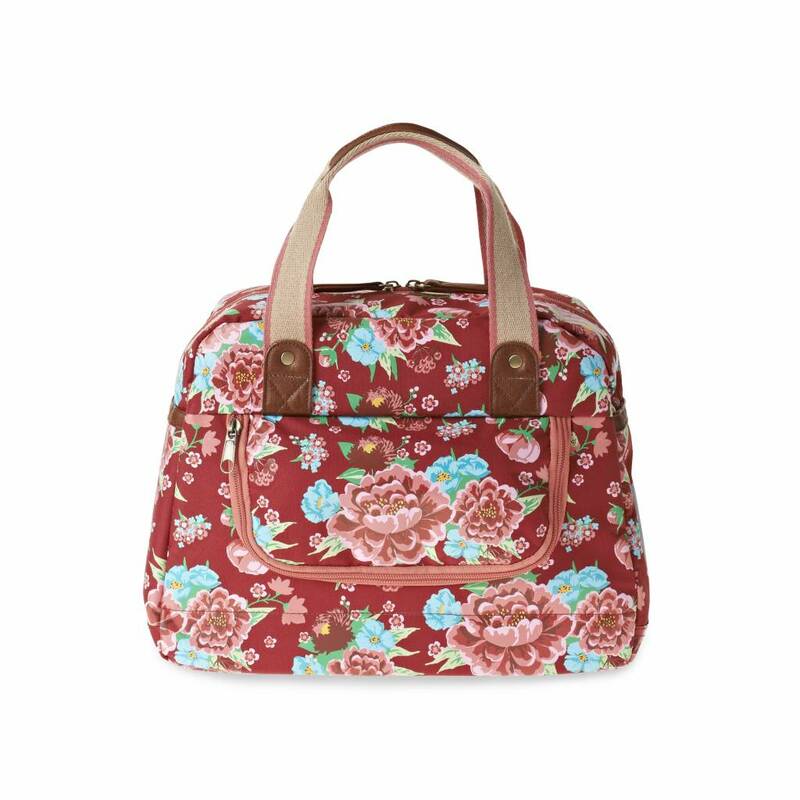 This Basil Bloom Girls' Carry All Bag comes in eye-catching red with a beautiful floral motif. This rosy red model is crafted from water-resistant fabric to keep belongings protected in all weathers. This Basil Bloom Carry All Pannier is a compact choice for girls' bicycles and is guaranteed to go down a storm with your pint-sized riders thanks to its pretty floral print. 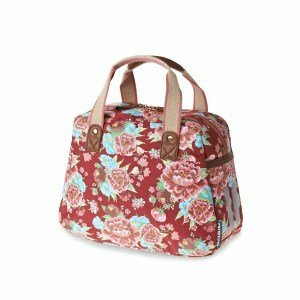 This carry all has a generous capacity of 11 litres, ensuring there's plenty of storage space for all those essentials. Ideal for bike rides to school when you're in need of ample space for books, lunches and stationary, and a great choice for cycling excursions on bright sunny days. Worried about wet weather? Don't be. This bag is made from a hard-wearing polyester fabric with a water-repellent finish that ensures no moisture seeps in and spoils the contents. What's more, the sturdy zippers mean that once this bag is locked, it stays firmly shut, keeping all those precious essentials in place during transit. Each zipper is finished with a concealed zip pocket, keeping unsightly hardware out of view once you've fastened things. The handy hooks used to attach this bag to the bike itself are also concealed. What's more, reflective strips give you total peace of mind when it comes to safety, ensuring cyclists remain visible at night or in limited light. Concealed zips and attachments with hidden pockets. 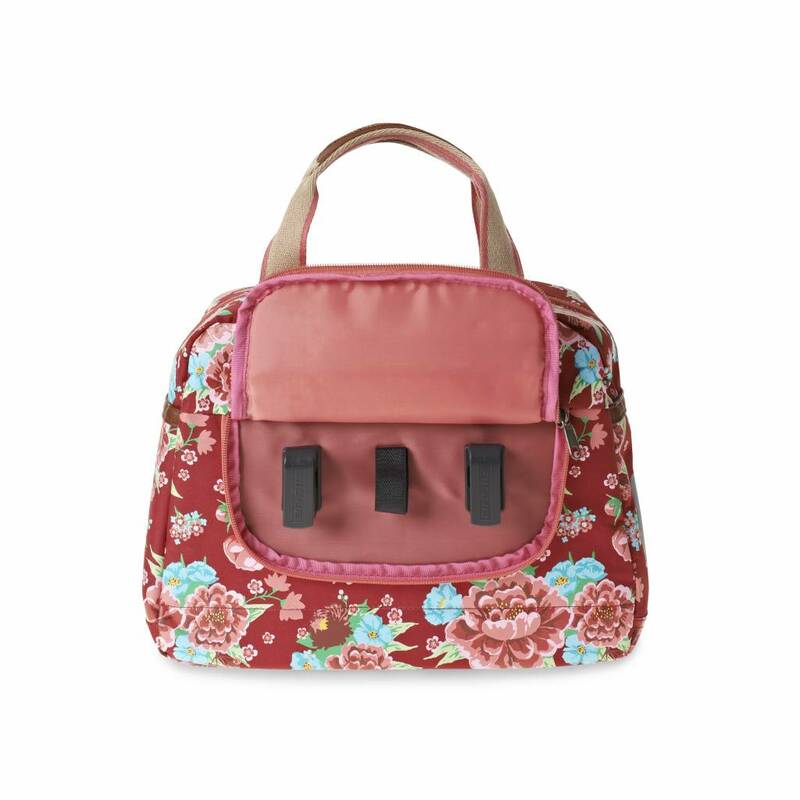 Water-resistant polyester fabric ensures bag contents stay dry. Reflective trims provide visibility at night and in darkness. Easy attachment courtesy of the Hook-on design.